Review: The Cursed by Alyssa Day – Escape Reality, Read Fiction! The idea that there is a supernatural fold of the space-time continuum, or whatever you might want to call it, underneath or beside or behind New York City makes a whole lot of weird sense, at least in paranormal terms. 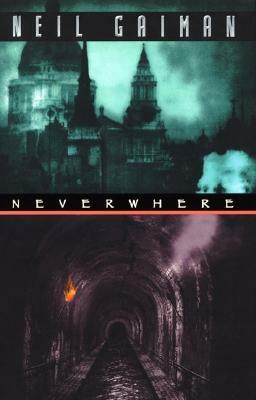 If London can have two versions, Simon R. Green’s Nightside and Neil Gaiman’s Neverwhere, it seems only fair that New York City has this one. NYC is certainly big and bad enough to support an oblong of goblins or two. So Bordertown is the supernatural fold of New York City, where the demons and the elves live to look down upon the humans in their midst. Rio Jones believes she’s just one of those humans, even if she does have a little something extra: she’s a telepath. Her ability to tell when someone is too busy to care or if they really want to eat her for dinner has kept her alive as a bike messenger in this town where everyone is bigger and badder than she is. One man tries to keep what passes for the peace in Bordertown. He goes by the name Luke Oliver, but he hasn’t always. He was born Lucian Olivieri, over 500 years ago, and his long life has been a curse and not a blessing. He’s known as the Dark Wizard of Bordertown, but if he ever really gives in to that dark, he’ll lose his soul. Rio is the one woman who could tip him over to the dark side. Not because she’s evil, but because his overwhelming desire to protect her has the power to compel him to do seriously bad things. So Luke has kept himself far, far away from her. Until his former colleagues, the League of the Black Swan, tell him to watch her. And their warning comes just in time. Because out of nowhere, both the Winter Fae and the Demon Rift target one unsuspecting human bike messenger named Rio Jones. Who has no clue why every badass in Bordertown is out to get her before her 25th birthday. But then, Rio has no clue who she really is. She just needs to find out before that secret gets her killed. Or possessed. Or brings about the end of the world as everyone knows it. Escape Rating B+: There are two stories in The Cursed; the love story between Luke and Rio, and the story about who Rio is and why is she being targeted. The love story is a bit rocky. We never do find out why Luke was instantly attracted to Rio a year previously. It’s pretty easy to get what she sees in him, but not the reverse. Insta-love always makes me twitchy, and even though they do build a relationship in the book, it does start from there. On that other hand, Rio’s origin story, the whole reason why she’s targeted, etc. is very cool and extremely well done. 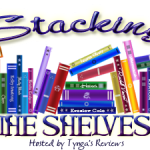 The case that Luke is pursuing at the beginning of the story, every mystery in the book, all the clues, even a couple of quite tasty red herrings, all lead to a fast and furious plot-twist at the end. I guessed some of it but not all of it. The League of the Black Swan’s motives were very mysterious. They used Rio (and Luke) and Rio used them. I’m terribly curious to see what they do next. 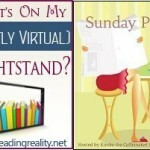 Pingback: The Sunday Post AKA What’s On My (Mostly Virtual) Nightstand 6-23-13 | Escape Reality, Read Fiction!